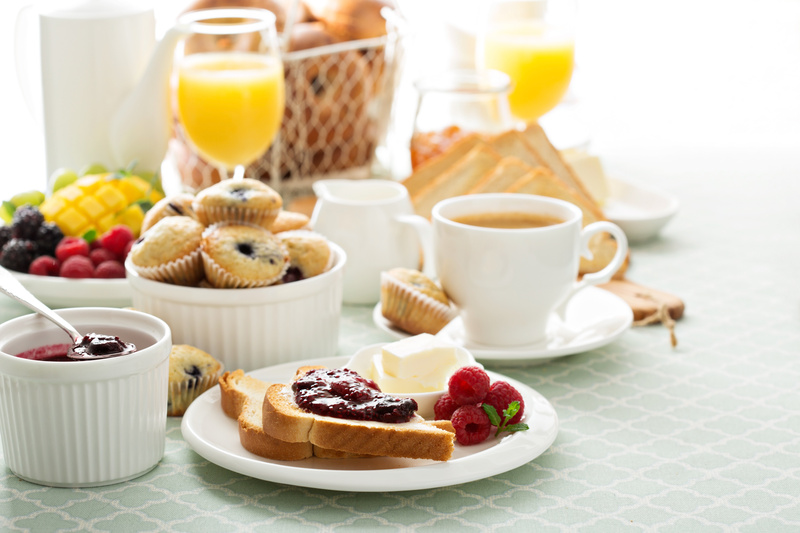 “Breakfast is the most important meal of the day.” That phrase started out as a marketing slogan for breakfast cereals in the mid-nineteenth century, and since then has become something of a cliché. Nevertheless, it is true that dietary research shows significant medical benefits to eating a healthy breakfast. Tradition also says it’s important to brush your teeth after every meal, so many people wait to brush their teeth until after they eat breakfast. Thinking about what happens in your mouth overnight, however, that might not be the best option. Here are some thoughts to consider from the Yuba City Dentistry Group. Whether you are fast asleep or still awake, bacteria in your mouth produce plaque, acid and more bacteria. During the night, your mouth produces less saliva, allowing plaque to spread more quickly. By the morning your teeth are coated with plaque — and that contains lots of bacteria. Therefore, once you eat breakfast, you aren’t the only one benefitting! The bacteria use your food as fuel and create even more acids, softening your protective tooth enamel. Many people brush their teeth after breakfast because they prefer that minty fresh feeling as compared to a breakfast aftertaste. Depending on their breakfast, it’s certainly a valid reason. Unfortunately, tooth enamel is already softened by acids created in the mouth by bacteria, as well as any acids from orange juice, chorizo, tabasco sauce, or other parts of a “complete” breakfast. Brushing the softened enamel could effectively scrape it away, helping to expose the delicate internals of our teeth and eventually leading to cavities or tooth decay. Waiting to brush about thirty minutes after a meal might give tooth enamel time to recover. But in the meantime, bacteria continue their campaign against your teeth. Thankfully, you have other tools available in your oral hygiene toolkit, and there’s no rule saying you must use them all during the same session. Here’s an idea to protect your teeth before and after breakfast. Brush first. This eliminates most of the bacteria and plaque that built up during the night. Then they won’t be able to affect your teeth during breakfast. Depending on your toothpaste, brushing also leaves a layer of fluoride on the enamel that helps protect your teeth during your meal. Flossing also helps dislodge plaque. Eat breakfast. Make sure to chew properly, letting your saliva help with digestion and tooth protection. Eating a healthy breakfast with plenty of protein is wise. Even so, check with your dietician or medical specialist on what kinds of foods are best for your individual health needs. Rinse your mouth. Swishing around some water after breakfast ensures that food particles aren’t left behind to feed bacteria. Or better yet, rinse with a fluoride mouthwash to bolster your enamel and add a minty flavor at the same time. If you prefer, flossing at this point would also dislodge food remnants. Whether breakfast is the most important meal of the day or not, it’s part of a healthy life. Regardless of your choice to brush before or after breakfast, or both, the important thing is to do it. Rinse your mouth free of any acids to start. Then brush your teeth at least twice a day, for at least two minutes each time. Use flossing and mouthwash to supplement your routine. And never neglect visiting the Yuba City Dentistry Group twice a year for oral hygiene checkups. If you have any further inquiries about breakfast and brushing, please let us know over the phone or through our website.